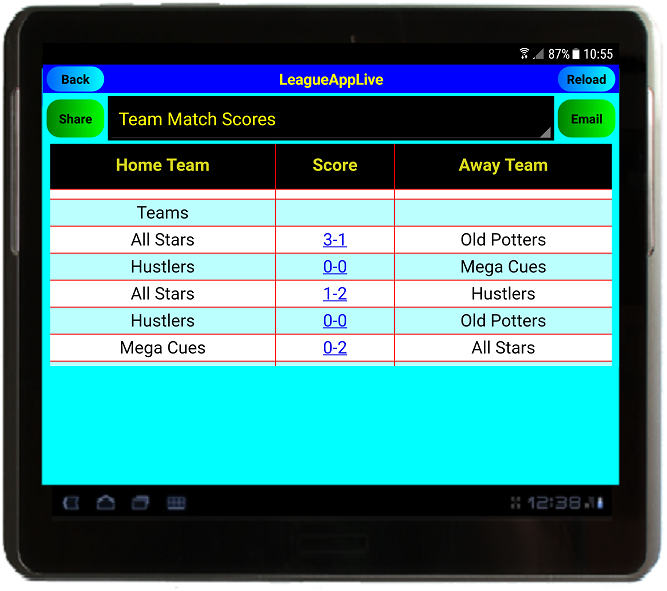 Enables League or Tournament organisations to show "live" scores throughout a competition. It collates and manages all results via a cloud database so that management is simplified. It enhances participation and excitement for friends and relatives of individuals participating in a competition. 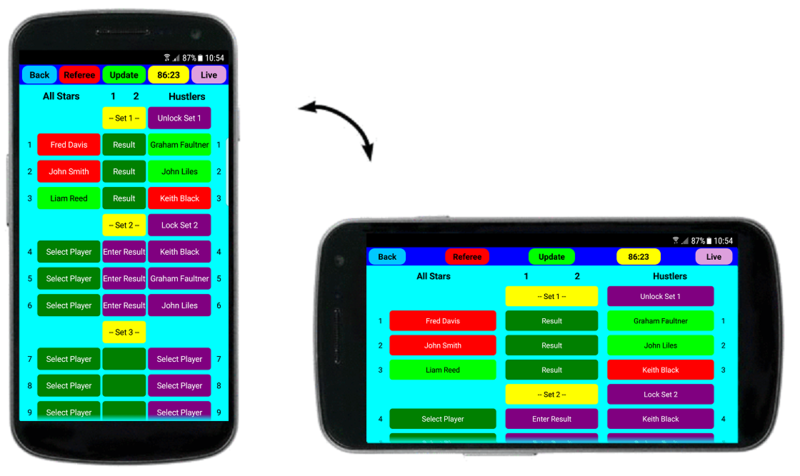 Players use their mobile or tablets to register their scores which intelligently synchronizes with a cloud based system. The scores are then shared amongst all players and competition results are displayed to create a more engaging experience. With an easy to download App from the App Store(s), players can get up and running with very little effort. The App has been designed for ease of use with support for landscape and portrait mode. We offer the ability to create bespoke result displays giving your competition or league a unique edge. You will have access to the competition configuration pages allowing you to make alterations at any time.